It’s no secret that the IT workforce is suffering from a skills gap. Not only are there not enough workers available to fill tech positions at many companies, but even the workers available may not possess the skills that companies need today to deal with the rapid changes being brought about by digital transformation. Andy Ruth, Managing Director of Sustainable Evolution, spoke at The Open Group Austin 2016 in July about one way companies can tackle the skills gap—apprenticeship programs. We spoke with Andy about the state of the IT workforce, why apprenticeship works and how it can help bring a new and more diverse population of workers into the IT workforce. What are some of the things currently stymieing the IT work force? There are a couple different things that are really a challenge. We have an older workforce that is being replaced in large part by a younger workforce. That younger workforce is smaller and many don’t have fundamental knowledge of what’s going on under the covers because they grew up learning in a world with higher levels of abstraction. For instance, if someone learns Python or Rails, they may not have the deeper understanding and stronger foundations that they might if they were to start with C or C+. I was coaching a kid that’s going to MIT, and he asked ‘What do I need to do while I’m there?’ I suggested he build an operating system for one of the new IoT processors and learn the C language. He countered with ‘Well, C’s not in use anymore and nobody builds operating systems,’ to which I said, ‘Perhaps, but that builds deep understanding and good fundamentals. You’ll know how things work and you can think deeply about it. That’s what you need is that foundation, just like you need to be able to do simple math before algebra, trig and physics.’ So, I think part of it is the shift in what and how the workforce learns. We also are in a time of such tremendous change in IT. IT is about people, process and technology. In the past we have had big shifts in technology, then we change process and people to match. Right now we have change in all three, each having an impact on the other two. Technology change is the easiest to adopt since we are geeks and naturally track it. Process change is a bit more challenging and not as interesting, so a bit harder. People are the hardest to change because they like working the way they like to work. They don’t like to be told what to do or how to do it, and really don’t feel they need someone to tell them they need to change. Having change in people, process and technology at the same time is disruptive to people. The change is especially hard for architects since we typically have a number of years in the industry and everything is completely different from what we grew up with. We are responsible for planning the changes needed to people, process and technology, and if we haven’t experienced it we don’t know how to get started. Also, a lot of us want to stick with the old ways or haven’t needed to change yet. We used to ask ourselves if we should still code as an architect, now if we are not coding we are not relevant. We’ve also changed the way we develop software and the way that IT works altogether. We shifted from waterfall to agile approaches, and now DevOps is the latest approach. With architecture, we no longer have the luxury of doing heavy design and evaluation. Rather, we get started and learn as we go. If we take the wrong path, we start over. I think that it’s a challenge across the board. Worst of all, many of us haven’t worked in modern IT environments so we’re not able to teach the younger folks how to be successful in the new paradigm. Unless people have been in a start-up environment, they probably haven’t worked in the modern IT workspace. Why is there a disconnect between the skills IT people are learning and what the workforce requires? Two groups of people need education or reeducation. Let me address the new workforce or kids going to college first. It takes about three years to get a curriculum change into the college system, so there is a natural lag. Some colleges work closely with start-up companies or big comm and those colleges can make the change fairly quickly. For the colleges working with some of the older echelon companies that have been playing it safe, they don’t have the awareness of what’s going on in the industry, so they’re slower to change their curriculum—those are the two key pieces. In terms of the workforce at large and their reeducation, IT has been run the same way for a long time and business has run so close to the bone. There are a lot of companies that are not operating in SOA environments and are not ready for the digital transformation going on right now. People have not been able to apply modern IT techniques at work, and hands-on is the best way to learn. Since they haven’t changed, a lot of existing staff haven’t learned the new technologies and approaches. In the early 2000s we shifted from a structured and composed N-tier environment to decomposed integration (SOA) environments. Some companies have adopted that and some haven’t. Now we’re moving from SOA on-premise to leveraging the Cloud. People and organizations who haven’t adopted SOA yet have to take two major leaps with their people, process and technology. A majority of companies are in that boat, where they have to shift to service orientation and then have to figure out how to design for the cloud. That is two gigantic leaps, and people can take one leap at a time—often unwillingly, but they can take it. When they have to jump two levels, it kills them and they’re paralyzed. Is that part of the reason we’re now seeing companies doing bi-modal IT? Bi-modal or multi-model are needed to successfully adopt modern concepts and complete digital transformation. In some conversations I’ve had, there’s a difference of opinion in what bi-modal means. One is, you have an IT department that runs at two different speeds. The first speed is for the systems of record, and the second is for systems of integration. Another way to put that is that you have a consistent core and you have agility at the edge. When you move from a large system and start decomposing it, you pick off integration pieces and develop using more agile approaches. For the big back-end chunks, you take more time planning and longer timeline efforts. Another, much more controversial definition of bi-modal is that you gracefully retire the old guard by bringing in fresh talent while modernizing your IT environment. You have the old guard maintain the current environment and the new people work on the transition to the new environment. Once you have enough talent and technology operating in the new environment you deprecate the old. If you can’t get the experienced people to shift to the new ways, they are part of that deprecation process. What can companies do to better train and maintain employees? That seems to be a continual problem at most companies. Invest in people and spotlight the ones that are making the shift to modern IT. That’s my passion area. As I have worked with IT groups I’ve seen the retraining budget go from about $14,000 per year per person down to a few thousand dollars down to almost zero. At the same time, there have been massive layoffs occurring all over the place so there’s no loyalty or reason to learn. Experienced people have little or no loyalty to the companies they work for and new entrants only work for a company for about 18 months, then move. If you’re a millennial in any job for more than three years then other millennials start looking at you funny like you can’t get another job. In that type of environment there’s not a lot of emphasis on the company investing in the employee or in the employee having company loyalty. The way that I’ve been approaching it, and it’s been very successful, is by setting up apprenticeship programs very much like journeymen do in construction, or in hospitals where doctors go through residency programs for on-the-job training. I break the skills acquisition into two pieces—one is the very specific skills for the organization that can’t be taught but need to be experienced through on-the-job training. For instance, I am talking to one organization that needs 250 people on staff that can do integration. They either can’t find the talent or the talent is out of price range or unwilling to move. So I gave them an approach where they take the concept of apprenticeship and bring in people that have the key entry level skills and the right work ethic, and then pair them with someone that’s experienced with integration in that environment. The person being mentored shadows the mentor to see how it’s done, and then the mentor shadows the person being mentored and provides coaching to accelerate the apprentice’s competence. You can do that for the skills associated with business capability. The other thing you do is help the apprentice with the foundational skills that are not specific to the job or to a business capability. The interpersonal skills, time management or whatever general skills they need to survive and maintain decent work/life balance. For these type of skills you provide external training and discussion rather than job shadowing. You make the mentor responsible for the care and growth of that individual, and you tie the mentor’s yearly review goals to their success at growing the new talent. Have you been able to implement that at some specific companies and has it be successful? I can’t name the companies but yes, I have been able to do it. I have also been operating my company this way to create and improve the process and build out the tools and training to support apprenticeship. I’ve been successful accelerating new workforce entrants into productive employees, and with moving existing staff into more advanced or different roles. I’ve been able to move people from traditional IT shops to agile and DevOps type environments, from dev leads to architects, and from traditional architects to modern IT architects. The most recent and most exciting is to take kids that are not going to be able to finish college. They have the skill to get a degree but don’t have the money or interest in completing it. I’ve been taking them from doing minimum wage jobs to shifting them over and getting them into the workforce and making them productive. I’ve been able to move people into IT-related jobs as well as other business-related positions. I apprentice them by using customer journey mapping. I teach them how it works and then have the apprentices transcribe the interviews I record and when I do a whiteboard workshop, I have them transcribe those notes into an Excel spreadsheet. I could do that electronically or with automation, but by having them do it, they learn the overall rhythm and language of business and they start to understand it. Then by talking with them about the customer journey from discovery through support or separation, they understand what the customer journey looks like. They also understand the underpinning interface with the company and how the business works and how they interact with the customer. That has been wildly successful. With that basic knowledge they learn new skills very quickly, allowing me to focus more on helping them grow a strong work ethic and better time management. I drive through objectives rather than hours worked. I let them manage themselves so they gain a lot of confidence and they drive forward and push themselves. The other thing I do is, for the life skills they may not have, I teach those. For instance, a lot of them don’t know how to budget. I tell them not to budget using money—budget using hours. Think about a cup of Starbucks coffee as 70 minutes of your time in order to pay for it, think of your apartment rent as two weeks work, think of your car as a week’s pay. I get them thinking that way and money becomes tangible, and they get better at budgeting. With these entry level people who are transitioning from minimum wage jobs, are they also being hired by a company or are you teaching them the skills and then they go out and get a job? It works both ways. I’ve helped companies get apprenticeship programs going and also apprenticed people, then they go get jobs or take jobs with the companies I consult with. Before we start, the customer and I agree I’ll be using some unskilled people to help them grow, and in return the company has the opportunity to hire the person when they are ready. I pay my apprentices a living wage as I grow them and expose them to my customers. I’m very transparent about how much they cost me and how much they have to earn to break even, and I tell them that in every business, that’s what they’re looking at. I teach them that, and then as they are introduced to my customers, my customers are welcome to hire them. Gigantic win for my employees and my customers. This seems like it could be another avenue to help solve some of the diversity problems that the tech community is facing right now. Have you also been looking at apprenticeships in that manner? Absolutely I have. This is another thing that is near and dear to my heart. The reason that I’m in IT is because my sister went into IT in the mid-1970s. I watched her live through that horrible time for women in IT. I’ve tried to do my part to help create a more diversified workforce in IT. Now my daughter is in IT and her journey was 10 times better than my sister’s. Not perfect, but better. Since then I have worked to identify what is broken and fix it. I’ve also worked with a lot of kids who are disadvantaged, and I’ve been able to help them move up and into IT. Once they see a way out of their current environment and have hope, and that all it takes is some effort on their part, they are in. They’ve got somebody that believes in them and willing to invest time in them, and they’re all over it, working harder and better than most of the privileged kids that I’ve worked with, or the ones that feel like they’re entitled. What can employers do to make their employees more loyal these days? That’s a tough one because when you look at it, millennials are different. The big five leadership indicators manifest different and they are not driven by the same incentives. There’s a big shift with millennials and there will be for future generations but there are a lot of things you can do culturally to address that. A lot have to do with the policies that you have. For instance, companies that allow you to bring a dog in or work remotely or wear jeans and a t-shirt, or bow ties, those little things help. But what I’ve found is the number one thing that has helped is to have millennials form relationships with the people that have a lot of experience and giving them time to grow relationships and skills. Every millennial I’ve reached out to and worked with has been hungry for the relationship and growth. They don’t want platitudes, they want people who really want to interact with them and have a genuine interest in helping them. Once you show that, big win. The other thing you have to do is let them experiment and not put them in a box. You have to put a group of them together and let them figure out their own boundaries and just make it an objective base. I think doing that helps an awful lot. So building those relationships, which you can do through an apprenticeship program and then providing some freedom so they can operate in a different way, those are two of the things you can do. The heavy handed review cycles and trying to either intimidate or incent millennials with money is not going to work. A lot of them have a high-minded idea of the way they world should work, and they’re going to be more loyal if the company they work for represents that or if the manager they work for represents that. What are some of those ideals that they’re looking for? Most of them are worried about the world and want it to be a better place. They see the disparity between the highest paid and lowest paid, and they want fairness and to work as a group, and for the group being successful. A lot of their idealism is centered on those concepts, and allowing them volunteer time to work with charities and have outreach programs. 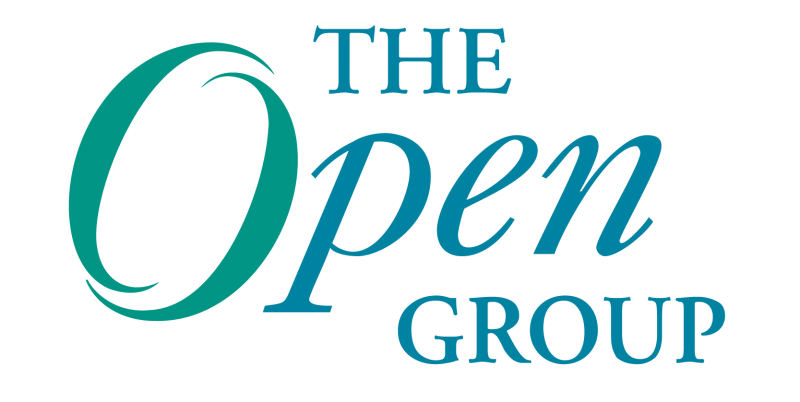 What role can certification programs such as The Open Group’s play in helping to close the skills gap? It can play a gigantic role by providing frameworks and methodologies that reflect today’s IT environment. I think we also have to shift the way that we do certification and training and a lot of that is starting to happen. We’re starting to move the bar and have a lot more practical and hands-on certifications and training. I think we need to shift from taking an online course and then going to a place and taking a test to working with and interacting with another person. An example of that is the top certifications for architects that The Open Group has, those are based on defending your experience and going through an interview process with peer members of that group, and them saying yes, this person is what they say. Using a test you can’t do that. This type of approach makes it a lot more personal. What you will see over time is that people say ‘I had so and so on my board’ or ‘I had this person mentor me,’ and they start talking about their lineage based on the people they’ve worked with in the industry. If we shift more toward that type of validation as opposed to using multiple choice tests, we’ll be a lot better off. I also think you’ll see hybrid industry/customer certifications just like you see industry/customer training. Someone will join a company and get trained and certified, but that certification will be able to follow the person rather than go away when they leave the company. What you’ll see is when an employee decides to leave, they can take part of the external facing portion of a credential with them, and only lose the internal portion. For the piece they lose, they will rely on their resume. The other big area where you’ll see a shift in certification is, rather than being tied to technology and platforms, certification will be tied to business capabilities and business outcomes. You’ll certify that someone can build a solution toward a specific business outcome or capability that’s trying to be enabled. Andy started his career in IT as a technical expert in consulting roles and well as staff roles. In the mid-1990s, he shifted from delivering IT capability to delivering training, speaking at conferences and writing books and training covering the IT space. The end of the 1990s Andy joined Microsoft as a subject matter expert working on their public training and certification programs. He grew to own curriculum development, then certification development, and then creating and delivering new training and certification programs. Additionally, Andy spent time as a role owner, defining job roles, levels, career ladders and compensation models to field-based architects and consultants. Over the last several years, Andy employs his talents as a consultant helping with business and IT strategy, and has a passion for workforce development.